Since the achievement of ISO 14001 Environmental Management Systems Certification in 2005, Pin Mao has been determinedly dedicated to protecting the world around us. The packaging supplier’s eco-sensitivity is acute, and the launch of its latest line of PCR resin products demonstrates no faltering in the company’s commitment to sustainability practices. One of the best solutions for keeping products clean is the single-use ampoule or serum bottle, normally featuring a snap off closure to ensure a lack of contamination. The problem is, many products are to be used in multiple doses though they're packaged for one-time use. Pin Mao has elegantly solved this dilemma by offering a new system that combines the hygiene of a snap-off top with the convenience of a screw top closure. Pin Mao's products are easily recognizable by packaging buyers around the world as the Taiwanese company's packaging products are designed and produced to perform well for at least the duration of the product as a minimum, in shapes, colours and finishes that always stand out from the packaging crowd. The oyster compact is one such example with its intriguing shape and pearl finish. Pin Mao's latest packaging concept is the much awaited KL Series, designed after receiving extensive feedback from clients and interested firms. The KL line offers convenience and ease of use for pharmaceutical treatments as well as high end beauty or cosmeceutical treatments. The technical aspects of the packaging industry normally remain hidden from the average consumer. There are, however, a multitude of issues that result in consumer acceptance or refusal, such as the much-valued heft of a product. Speaking with Daniel Chen at Pin Mao, we learned that the secret to their steady success has been the ability to pull out the right solution for the right brand. 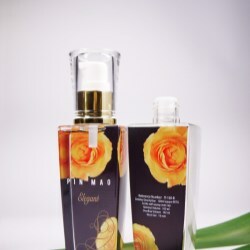 By offering a staggeringly wide array of standard items, Pin Mao always seems to have the right configuration available for its customers, no matter what sort of personal care product they're launching. Pin Mao has released a set of jars for cosmetics or personal care treatments that offer a clever design feature brands can use to their advantage. The MU series offers different capacities can be set into one of a pair of jar concepts in order to provide the exact right dose. Pin Mao, one of Asia's leading packaging firms focusing on the personal care and cosmetic markets, has released a number of new PETG items with similar, elegant shapes sure to turn heads. The best part is that companies can select between two configurations: mass-market, light items or luxurious heavy-base items with thick walls. One of the easiest ways a company can impress consumers while maintaining consistent branding is to market personal care or beauty products in matching or complementary packaging. 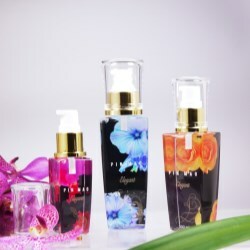 Pin Mao has released small format bottles and tottles that are perfect for developing full lines with numerous products. Asian packaging supplier Pin Mao has created several series of tottles that are as stylish as their are useful. The new tottle lines feature a number of interesting shapes that are easy to hold and use and provide brands with an upscale options for their personal care lines. Pin Mao Plastic Industry Co., Ltd has been dedicated to cosmetic packaging research and development for a number of years now, and has garnered a reputation for offering an incredible number of standard lines that are easily decorated to create unique packaging concepts. The company has recently released its latest line, the IL series, with a simple, elegant silhouette that can make an excellent addition to existing personal care brand lines or serve as the centrepiece for a new market launch. Featuring an octagonal shape, the IL series is an eye-catching piece. Pin Mao has recently released an array of standard jars for the cosmetic and personal care spaces, best for creams and gels targeted to the premium, masstige, and cosmeceutical niches. The jars offer the traditional clean lines consumers are accustomed to, but are an improvement over contemporary offerings. 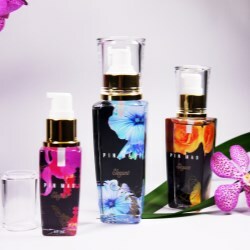 Pin Mao has recently released an array of beautifully crafted airless bottle solutions, both elegant and smartly designed to protect products against external contaminants. 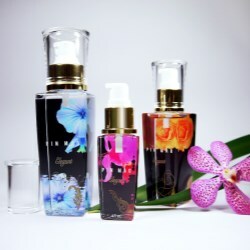 As today’s market treads down a path evermore filled with oxygen-sensitive formulas, the airless bottle will become the ideal solution for those in the cosmetics industry. These new series from Pin Mao offer a wide range of effective, yet beautifully engineered packaging selections. For over two decades, Pin Mao Plastic Industry Co., Ltd has been dedicated to cosmetic packaging research and development. The company has released its new ET-series, an achievement for the firm with regard to square bottle packaging. Made of durable and clear PET-G, the new square bottles take the best design concepts from the company's M-series diamond jars to create a stunningly shiny bottle that captures and magnifies reflected light unlike other square bottles on the market. The capacity of diamonds to resist scratching and their remarkable optical characteristics have inspired Pin Mao to create the M-series, otherwise known as “Treasure your treasure”. The line of jars (Pin Mao’s innovate design patent No. D084376) has been designed to look reminiscent of an Asscher cut diamond. In Chinese Buddhism, Guanyin Pusa is often represented as a Goddess observing the sounds (or cries) of the world. 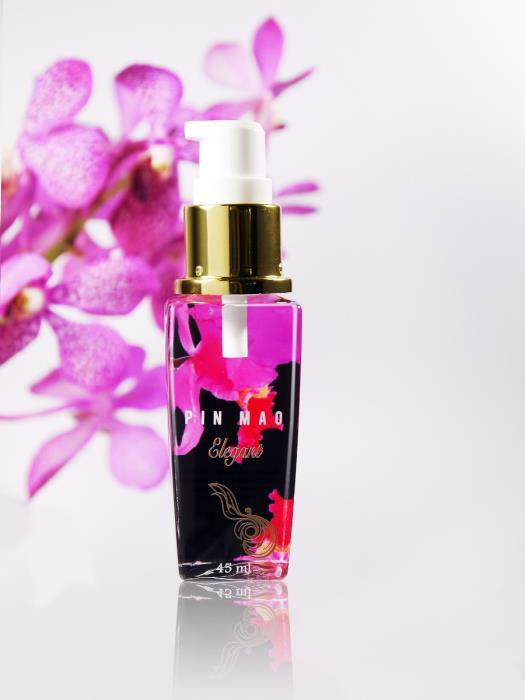 Pin Mao’s original idea for its E-series bottles comes from the pure "Guanyin bottle", which is designed to hold only the most valued contents. According to the tales, Guanyin Pusa spreads mercy and compassion, pouring a holy liquid from this white bottle to purify every spirit.